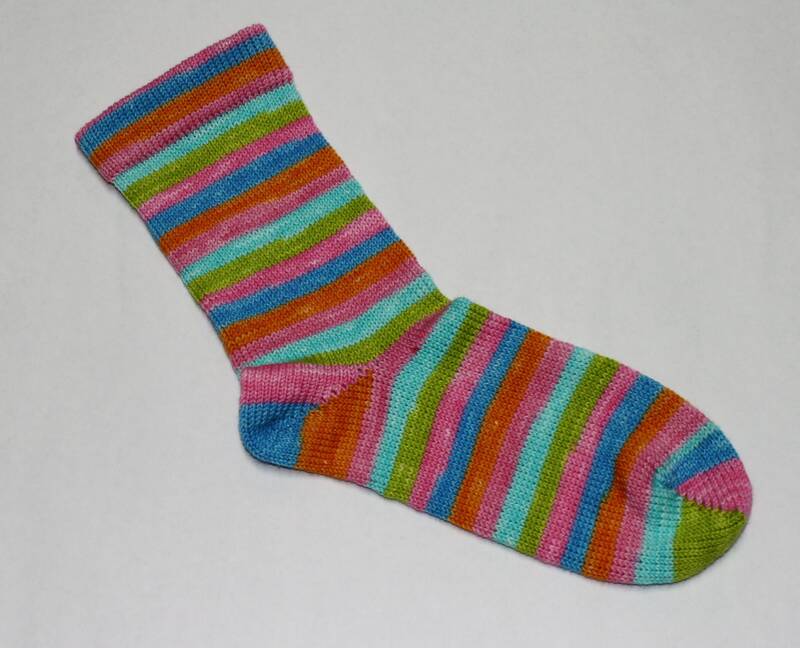 Do you love sock yarn but don't knit socks or just don't have the time? You can now get custom cranked socks on my antique circular sock machine. You can have me dye the yarn and crank it into socks for you or you can send me yarn that you would like made into socks. 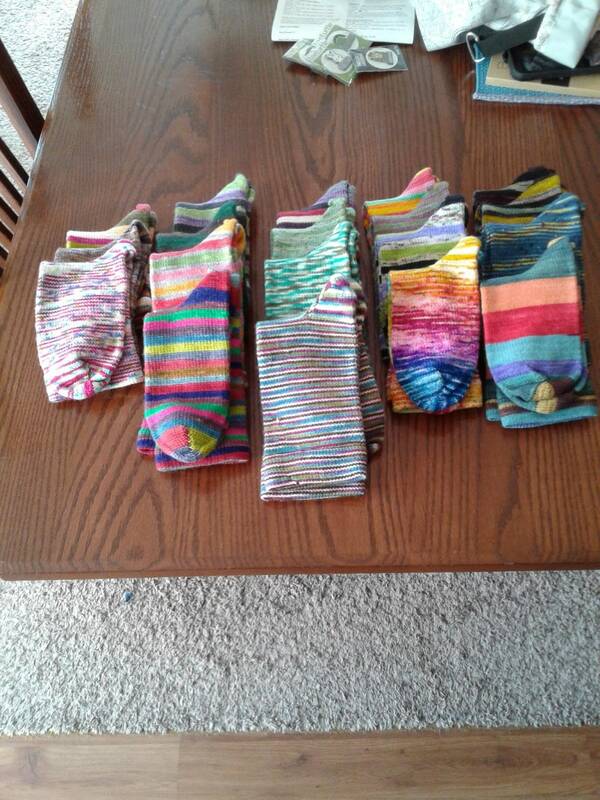 All socks will have a folded cuff. The listing is for 1 pair of socks. If you would like multiple pairs made, add the quantity that you would like. If you are having me dye the yarn as well, I will refund the shipping for this listing as it will already be calculated in the purchase of the yarn. All scrap yarn will be returned with the cranked socks unless otherwise noted that you do not want the scrap yarn. Yarn must be clearly labeled with shoe size, foot length in inches, desired length of leg (up to 8 inches). The socks will come washed to set the size. Allow 2-4 weeks for completion of socks. If I am dyeing the yarn as well, the 2-4 weeks will be added to the time for the dyeing as well. For example, if the timeline for dyeing the yarn is 3-4 weeks then an additional 2-4 weeks will be added. 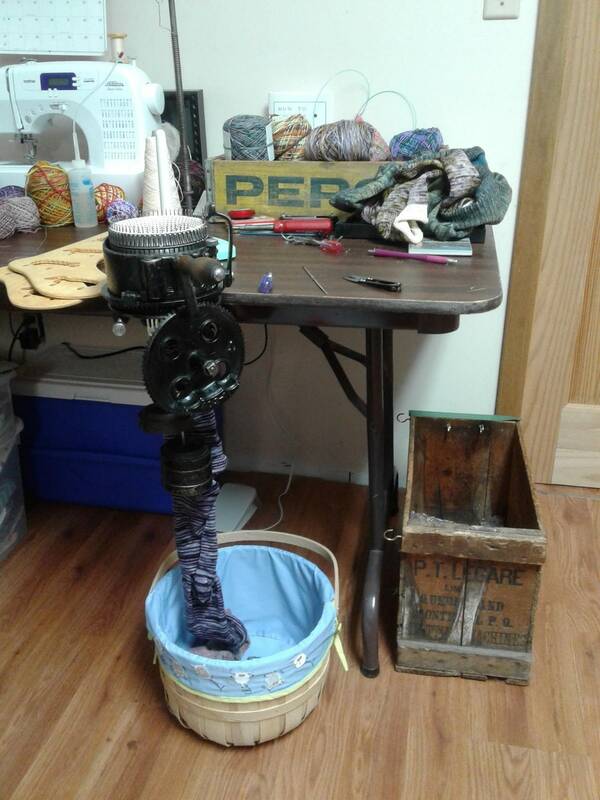 The socks are knit on an antique circular sock machine.